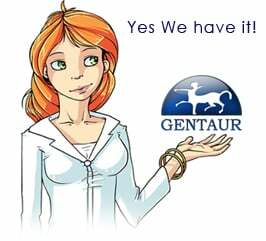 Gentaur antibody-antibodies.com The Marketplace for Antibodies : Further studies on the human pancreatic binary complexes involving procarboxypeptidase A. Further studies on the human pancreatic binary complexes involving procarboxypeptidase A. In contrast to procarboxypeptidase B which has always been reported to be secreted by the pancreas as a monomer, procarboxypeptidase A occurs as a monomer and/or associated to one or two functionally different proteins, depending on the species. Recent studies showed that, in the human pancreatic secretion, procarboxypeptidase A is mainly secreted as a 44 kDa protein involved in at least three different binary complexes. As previously reported, two of these complexes associated procarboxypeptidase A to either a glycosylated truncated protease E or zymogen E. In this paper, we identified proelastase 2 as the partner of procarboxypeptidase A in the third complex, thus reporting for the first time the occurrence of a proelastase 2/procarboxypeptidase A binary complex in vertebrates. Moreover, from N-terminal sequence analyses, the 44 kDa procarboxypeptidase A involved in these complexes was identified as being of the A1 type. Only one type of procarboxypeptidase B, the B1 type, has been detected in the analyzed pancreatic juices, thus emphasizing the previously observed genetic differences between individuals.